This Saturday we’ll launch our 2013 cider vintage at the latest production by Beult Concerts in Marden. Our friends Sally and Hugh Sparrow are the pioneers behind Beult Concerts. 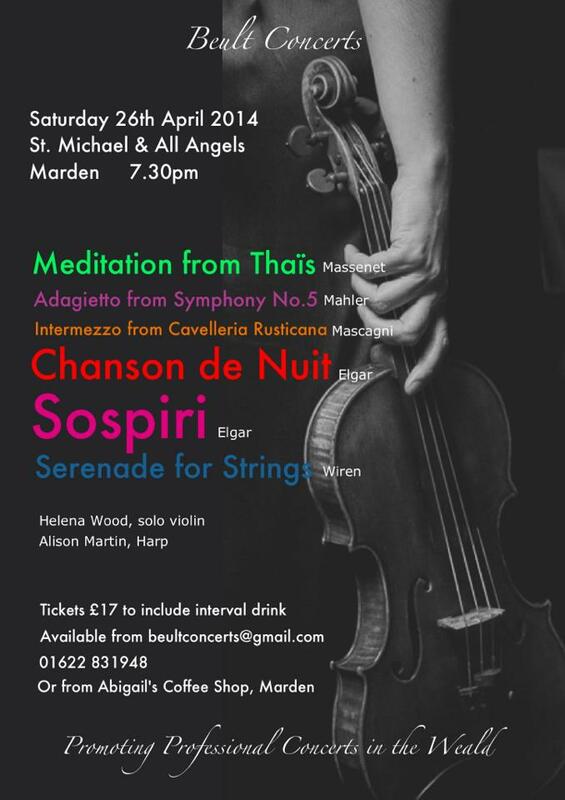 Since moving to Marden a couple of years ago they’ve put on a series of sold-out classical and jazz concerts, using their connections at the English National Opera to attract some incredible musical talent. Saturday’s concert is in St Michael & All Angels Church in the village. Among other pieces they’ll be playing Mascagni’s Intermezzo from Cavalleria Rusticana. While that will inevitably remind me of the the opening scenes of Raging Bull and the final tragic moments of Godfather III, it will more poignantly remind me of my wedding day in St Mary’s Church in Goudhurst, when it was one of the pieces of music we chose to play. Little did Mrs Turner know that day that she would become a cider maker’s wife. But a cider maker’s wife is she. Over the Easter weekend, while on a trip to meet cider makers in Somerset, she mused as to when we would run out of cider conversation. Baby, we’ve only scratched the surface. We’ll be donating some Turners Cider to the soloists on Saturday night and I’ll be available to talk about cider to anyone apart from Mrs Turner.